Is technology moving too fast for supply chains to keep up with? This seems like something that might depend on each particular company's capabilities, but CSCMP's Supply Chain Quarterly editor Toby Gooley recently argued that this is, in fact, a possible problem, with businesses too focused on the promise of technology and not enough on the execution. It does certainly seem at times that new tools and services are appearing quickly, but Gooley implied that there isn't enough planning to support the adoption of self-piloting planes, cloud-connected cameras and other leaps in technology. "It does certainly seem at times that new tools and services are appearing quickly." While she doesn't specifically mention the word "strategy," a strategic approach may be exactly what overseers need to ensure a real benefit. After all, if the ultimate goal is efficiency, then implementing robotics and other new systems haphazardly could prove counterproductive if the cost is greater than the ROI. There's more than one way technology can affect the industry, of course, and supply businesses should look for the direct and indirect means that this might impact standard performance, or perhaps require some sort of transition. A Forbes piece from December 2016 featured some of the trends to look for in the new year of 2017. It's telling that the article listed both the rise of the Internet of Things and the growth of ecommerce as important factors for the logistics industry. 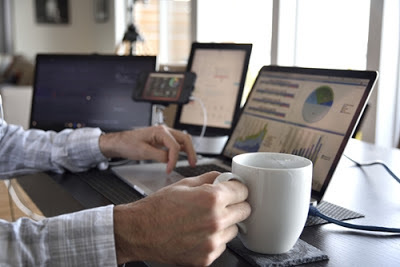 If these services continue to shift online and parallel the use of tablets and other connected devices, businesses may face the need to modernize on multiple fronts and prepare for market changes as well as expected efficiencies as the "digital economy" takes hold. There could also find be new competitors to contend with. The clear takeaway from Gooley's piece is the idea that supply technology updates should be planned and selective. Different companies will probably have their own overriding concerns. Sometimes this might require complicated coordination, but it's still important to use procurement services efficiently, as needed. Food supply chains, for instance, might have to acknowledge different systems and means of communicating than others. In a press release, the food delivery company Shotput recently referenced the multiple technological innovations intended to fuel its eventual goals. This would, according to this statement, eventually involve both an app and a system of automated store locations, as well as a means of using robotics in retail settings. Another one of the company's stated goals is to provide fresh produce to customers from national suppliers. In this example, the roles of automation and AI are just as important as transparency. Using a strategic plan, a business like this may be able to prioritize the services it needs and continue evolving as it makes use of all available resources. Finally, there's the need to keep costs low, which is always a consideration and appeared in the Shotput example: The statement said that co-founder Praful Mathur specifically wants to compete with more expensive food delivery services such as Amazon Fresh. Business procurement management and coherent strategies can be a way to harness all of their resources and map out a reliable plan.